IGWE is the Interest Group of Members of European Parliament, set up to promote women entrepreneurship and to improve the position of women entrepreneurs in society and in Europe by gathering together like-minded MEPs, women entrepreneurs, researchers, organizations and other stakeholders. MEPs belonging to the Interest Group will launch initiatives, organize seminars and link national women entrepreneurship networks with each other in order to facilitate women entrepreneurship across the EU. 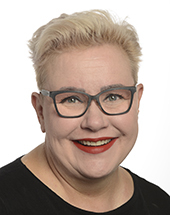 IGWE was established in 2014 by initiative of MEP Sirpa Pietikäinen (EPP) and outside the Parliament the Interest Group cooperates with Women Entrepreneurship Platform (WEP). IGWE invites all interested parties and stakeholders to join its efforts in promoting women entrepreneurship and encouraging cooperation between national women entrepreneur networks at the European level.